In the middle of the Pacific Ocean there is an island full of myths and legends that was known for many years as Easter Island, as the Dutch navigator Jakob Roggeyen arrived on the island on Easter Day. However, today we call it Rapa Nui, in memory of the culture that gave life and name to this wonderful land. Travel to Rapa Nui (Easter Island) and discover its secrets! Easter Island is famous for its 887 extant monumental statues, called moai, created by the early Rapa Nui people. In 1995, UNESCO named Easter Island a World Heritage Site, with much of the island protected within Rapa Nui National Park. The Rapanui people came to this island led by King Hotu Matuá in the second millennium BC. They all came from Polynesia and found this island in the middle of the Pacific Ocean, full of vegetation and native forests. Its waters are characterized by its visibility that exceeds 60 meters deep, something that has remained to this day and has become a point for fans of diving. Did you know that many of the waste in the sea reaches Rapa Nui? We have to take care of our environment and travel responsibly. 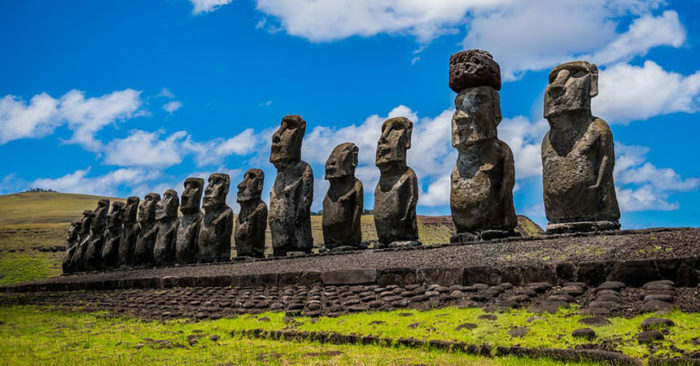 If you are an adventurous tourist and you are planning a trip to Rapa Nui, do it in advance taking into account the new Law on Residence and Permanence in Rapa Nui. It is important to mention that Rapa Nui is a territory that deserves special care because of its cultural, archaeological and historical richness. If you need accommodation, we recommend services that are registered in the National Service of Providers of Tourist Services in the page of the National Service of Tourism so that your trip is responsible and safe. Tapati Rapa Nui is the largest and most important cultural festival on the island, which is celebrated every year in the month of February. The main attraction of the festival are its sports competitions, which aim to recreate ancestral activities in different parts of the island. You will also find music and typical dances of Rapa Nui (Easter Island). This party lasts about 2 weeks and began more than 40 years ago only with the participation of the locals. However, this has been changing and nowadays tourists are included as part of the celebration. You want to know more about the island, contact us and travel with us!